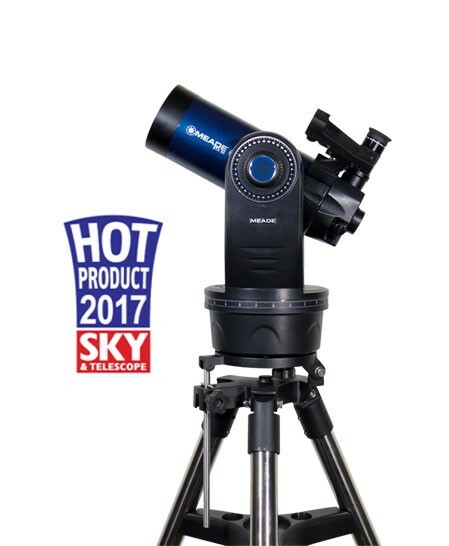 Meade Instruments gives you a complete GoTo-enabled observation rig with the ability to make detailed observations of the Moon, with the ability to easily see planets and reach outside the solar system to resolve bright deep-space objects with their venerable ETX90 Observer 90mm f/13.8 Maksutov-Cassegrain GoTo Telescope. 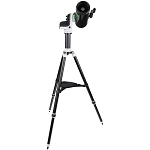 The compact and powerful Maksutov design uses a front corrector plate with a convex meniscus lens to correct off-axis aberrations, like comas, and chromatic aberration to produce images with true color rendition. 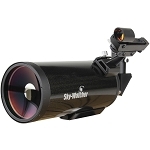 The nature of the lens results in a smaller secondary mirror - limiting obstruction and increasing contrast, while eliminating the need for periodic collimation. 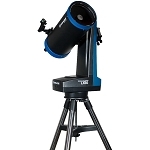 This optical path results in a slower focal ratio and narrower field of view versus a similar Schmidt-Cassegrain varient, but the optical benefits makes this an ideal scope for all types of celestial observations. 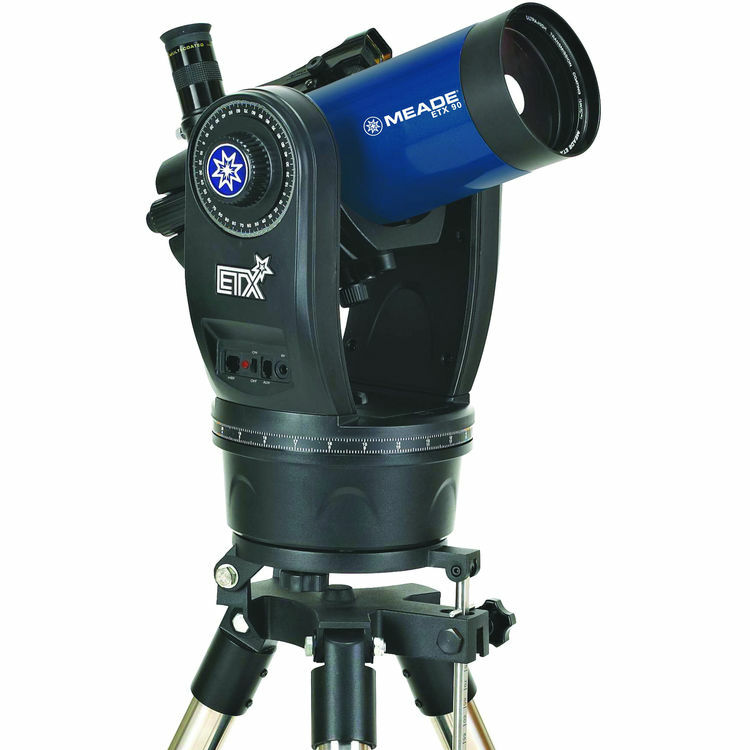 The brain of this system is Meade's revolutionary AudioStar hand controller. Equipped with a 2-line LED display and 20-key red backlit keypad and an integrated speaker, it controls the motorized mount for precise GoTo capabilities. 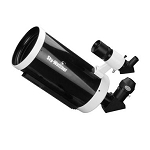 Its internal 30,000+ object database is updateable via the internet, and has the capability to take you on a hands-free guided tour of the night sky above them, with audio commentary on select objects with expanded information. 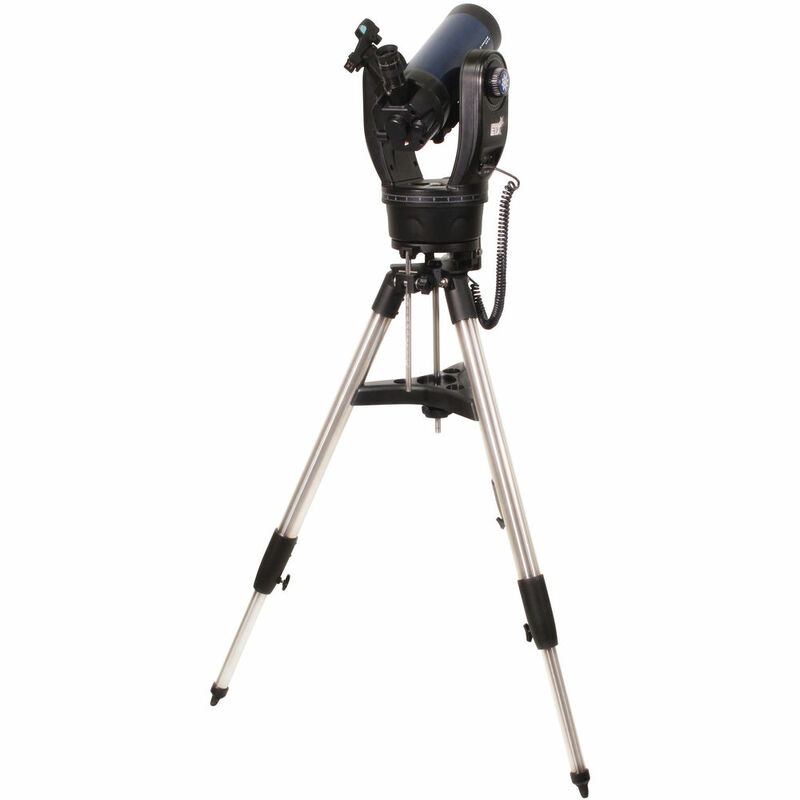 To consult star charts, logs, or to change eyepieces and filters, the controller also has a built-in red LED utility light that won't affect your night-adjusted vision. 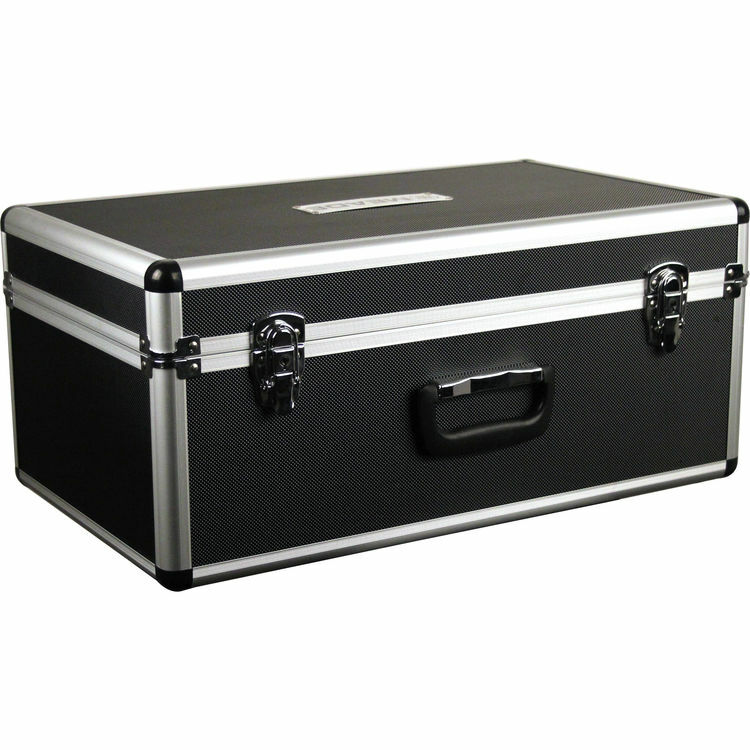 Box Dimensions (LxWxH) 34.0 x 26.0 x 12.0"